On the back of her husband’s motorcycle with the wind on her face, the adrenaline pumping through her veins Kelly enjoys every ride with her husband Jeff as he navigates the wide open roads on their supped up touring motorcycle.Never missing a ride with Kelly and Jeff is their travelite transport chair which assists them as they explore the new places, new people and the beautiful landscapes they see across the United States. 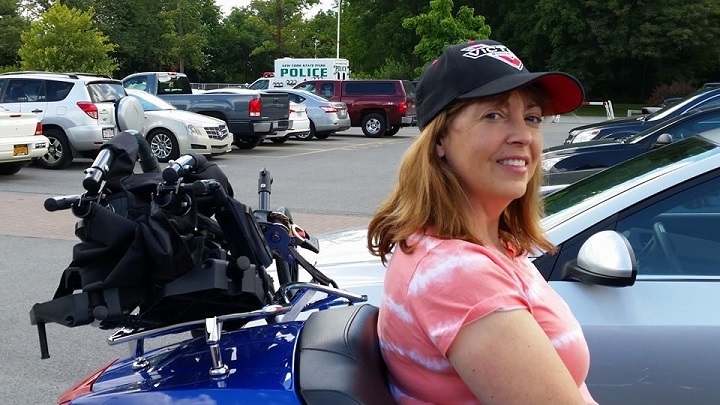 Whether they are touring the roads alone or with their Motorcycle Group, Kelly a compassionate, kind-hearted Procurement Executive, Firefighters wife from the Commonwealth of Virginia needs the Drive Transport Chair for every excursion. 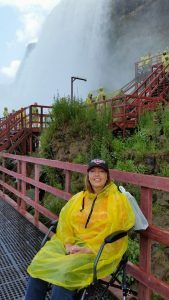 A little over 11 years ago, Kelly’s life changed with a diagnosis of MS. As the MS progressed Kelly’s mobility became compromised beginning with walking with a slight limp, to using a cane then a walker and now a wheelchair. Kelly’s compromised mobility put a slight damper on their motorcycle trips as they couldn’t find a transport wheelchair that fit Kelly’s mobility needs as well as fit securely on the back of their touring motorcycle. 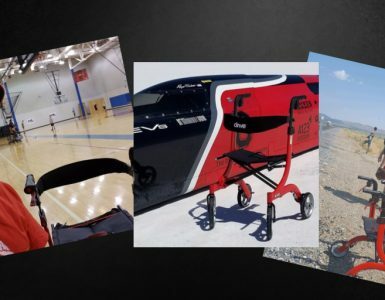 They needed a durable, compact wheelchair that could sustain their long 600+ mile journeys. Without the use of a wheelchair, Kelly and Jeff would be limited in their exploration at each destination and could never fully enjoy each stop in their journey. Because MS is an unpredictable disease, as Kelly stated some days you feel weak and need assistance to perform the daily routine tasks while other days you’re strong enough to tackle them on your own. Kelly has found that as she lives with her MS she needs to be flexible to live her best life now as each day is different and can bring new challenges to conquer. Thankfully that’s when they found the Drive Transport Chair. Their trips to North Carolina, Upstate New York and Ohio to visit their seven children, four grandchildren and granddog have happily resumed. And even though Kelly grew up only five miles away from the great, very wet tourist attraction ‘Cave of the Winds’ she was finally able to visit this year “thanks to the amazing transport chair” Kelly stated. As Kelly and Jeff continue to take on new adventures, cross many States, find new places, restaurants, and landscapes to seek these jaunts are bit easier now. 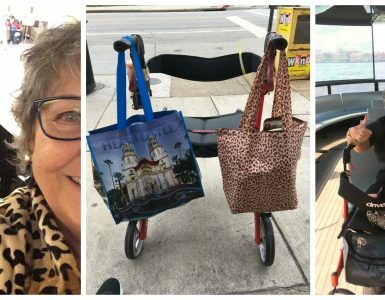 Kelly’s wheelchair enables them to see the many sights worth exploring and now Kelly’s dream quest to tour California on their motorcycle can become a reality! Has your Drive product enhanced the quality of your life? 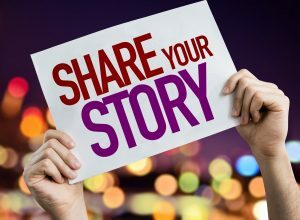 If so, share your story with us today for a chance to be featured on our website!